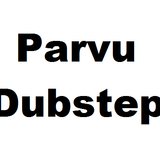 Parvu(a.k.a Sean Barker) is an unsigned and non-professional dubstep producer who&apos;s 16 yrs of age who started producing near the start of 2012. He has not yet found his sound yet but he loves to create music when ever he can. Parvu has also found a new love for Mixing.